In 1970, Sherwin Woodwork began manufacturing joinery and merchanting timber from the Ormonde Street site in Fenton. The company expanded and acquired two further sites in Stoke-on-Trent; S. Leslie Sherwin Timber & Plywood was established as a separate company, primarily concentrating on the distribution of hardwood, softwood, sheet materials, door blanks and machined profiles. At Bath Street in Stoke-on-Trent, a redundant cinema became the home of the Sherwin Joinery Centre - a trade and domestic retail outlet offering all types of joinery and related products to builders, the joinery trade and the public. Sherwin Estates began as a house building company, acquiring development sites, principally in Staffordshire, and sometimes working in conjunction with other house builders. Based at the Sherwin Estates Building in Burslem, the company’s interests gradually moved away from construction and concentrated on the management and maintenance of the group’s property portfolio. Investment in design and manufacture of modern cubicular sanitary products led to the establishement of Integrated Plumbing Systems and the subsequent take-over of Sherwin Woodwork and the Sherwin Joinery Centre by Armitage Shanks Group in the late 1970’s. During this time, Les Sherwin continued as chairman of Sherwin Group, whilst also a director of Armitage Shanks. Sherwin Woodwork and IPS jointly acquired the Foley Crossing site at Longton in 1979 - an eleven acre site with 80,000 square feet of factory floor space and a further 40,000 square feet of timber storage. 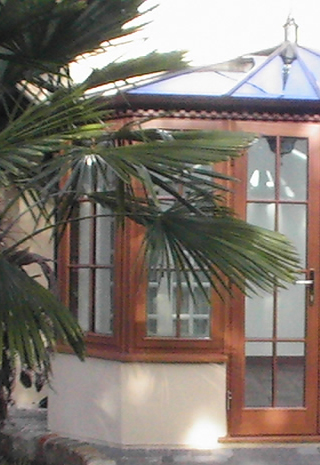 The sale of Sherwin Woodwork meant that the group no longer owned a major joinery manufacturer. This changed in 1980 with the establishment of Barlaston Woodwork on a site recently purchased from British Rail. The site also accommodated Barlaston Agricultural Merchants which, along with Sherwin Agriculture (operating from the Offley Park site near Eccleshall), specialized in the supply of timber and related fencing products for domestic, commercial and agricultural uses. During the 1980’s, Sherwin Group obtained significant shareholdings in several other related companies based in London, the Midlands, and the North of England. Engineering products and steel trading also became key group interests with the establishment of Sherwin Engineering Services and later Sherwin Stahlhandel Services. The group was also involved in pioneering the development of new practices in joinery and fenestration. Significant rationalization and disposals in the 1990’s and beyond has left the group operating on a smaller scale, but concentrating on its core business of timber merchanting, processing and manufacturing. With almost 40 years of trading, the Sherwin Group companies now offer the highest standards of quality, service and value to all our customers.